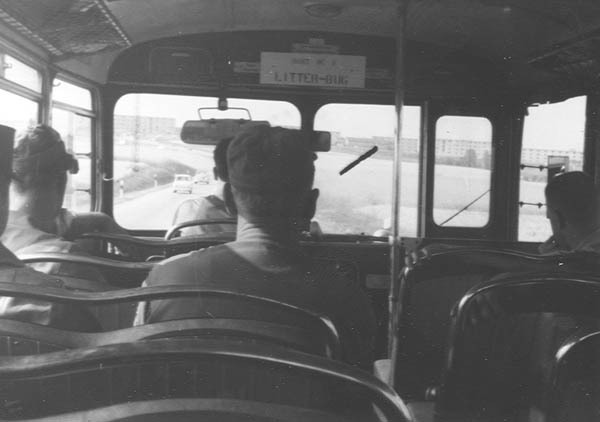 One of the main modes of transportation for Sembach Veterans, was the USAF "Blue Bus." Whether it was a ride from the flightline to the central base area, or returning from a "late night," in Kaiserslautern, the Sembach buses brought many veterans back to the base. This image was a familiar sight to many, returning to the base onboard the USAF buses. Original image, courtesy of Travis Ball, circa 1962.